Reading Honda vehicle reviews is one of the best ways to learn about the latest models and features released by the automobile manufacturer. In fact, drivers from across the Fountain Valley, Costa Mesa, and Newport Beach area trust our vehicle reviews to research the new Honda models they’re interested in before they make a purchase. Honda is one of the most well-known Japanese car manufacturers currently operating in the United States. Not only does it produce a large array of models for the US market, it also has some of the most fuel-efficient cars on the road today. One of the best things about driving a Honda is that you have plenty to choose from. If you need a versatile sedan, the Honda Civic or Accord might be right for you. If squeezing into the tightest city parking spot is important, check out the Honda Fit. Meanwhile, the Honda Odyssey is a people-moving machine with seating for up to eight passengers. No matter what your unique needs are, Honda has a vehicle that can help. Learn more about them by reading these Honda vehicle reviews by contacting us at Norm Reeves Honda Superstore in Huntington Beach. How will these vehicle reviews help you? Each one includes information about the latest features for each model. We’ll cover important details like interior specifications, engine power, and safety so you can decide whether this vehicle has the features you’re looking for. Because we understand what matters most to our customers, our Honda vehicle reviews will focus on the most important features. So we won’t waste your time by covering things like power windows and door locks, since virtually every new vehicle on the road has those features. Instead, we’ll focus on the specifications that truly set each Honda vehicle apart from other models. 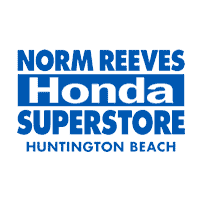 If you ever have questions or would like to request more information about a particular model, feel free to contact us at Norm Reeves Honda Superstore in Huntington Beach.